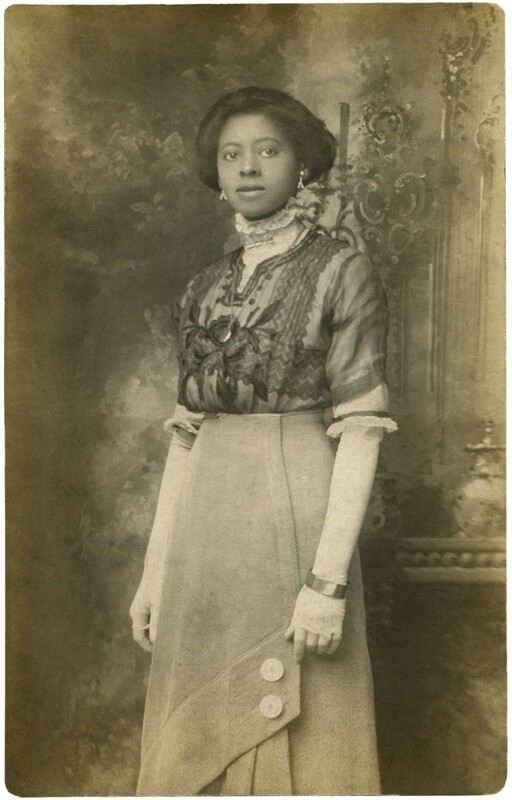 Beautiful Black Edwardian Lady – Rare Old Photo! Today I’m offering this Old Photo of a Black Edwardian Lady! Isn’t she a beauty?! This is a hard to find rare Antique Photo, showing a lovely young African American Woman! She’s very well dressed and her clothes are stunning! I love the fine Lace bodice that she’s wearing. I was so excited to find this one! I wish I had a name or some sort of information about her, but I’m afraid I don’t. This would be wonderful to use in Collage or Mixed Media projects! 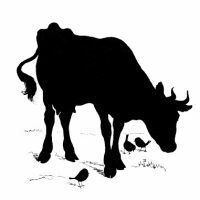 Vintage Silhouette Image – Cow with Birds Retro Reminder Symbols & Lucketts Online Shop Vintage House Plant Image! I love your site! I have been looking for information to make women’s ministry more exciting and I have found it today…Praise God! Thank you for sharing your talents to encourage and help. God bless you always! This really is a beautiful image of a beautiful woman. Are you sure she is African American? Her clothes are so gorgeous, I am wondering if she is French? The French were far less biased early on than Americans. 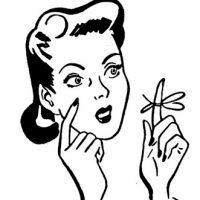 Hi Peggy, You could be right, unfortunately I have no information about her, so I have no idea. Thank you so much Karen, this is stunning. You’re welcome Maxine, thanks for leaving another sweet comment! Always appreciated! Oh Karen this is so lovely!! Thank you very much for sharing her!! I’m glad you like her Sharita! Karen, may I share this beautiful old photo on a facebook page I belong to? We are indexers and arbitrators of old documents for LDS ( not necessary to be a member), and we are unofficial but help each other to index and arbitrate as best as possible. We often share old photos as most of us are genealogists of a kind. I won’t share if you’d rather I didn’t. I wish we had an e-mail for Elizabeth Shown Mills, she is a professional genealogist and has a lot of knowledge of these people. I think she maybe French, there maybe an article about her in one of the old genealogy magazines. She is very beautiful. I hope that helps 🙂 Have a great day!